1) GO to CRM > Invoicing > Invoices > Add new. 2 You can key discount by percentage or amount. Please be remember, if you do not tick discount by percentage, you can only key in discount by amount only. 4 You can choose payment status whether “Issue Invoice Only” or “Issue invoice & Generate Receipt for Payment”. 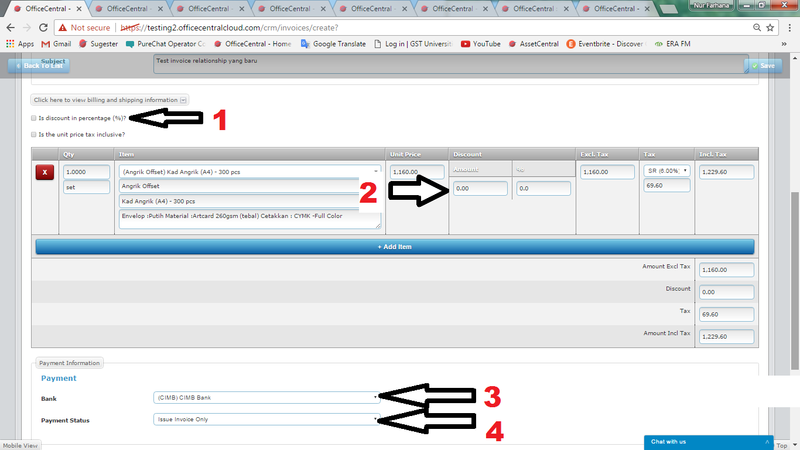 HRMS: How to add staffs in HRMS ?